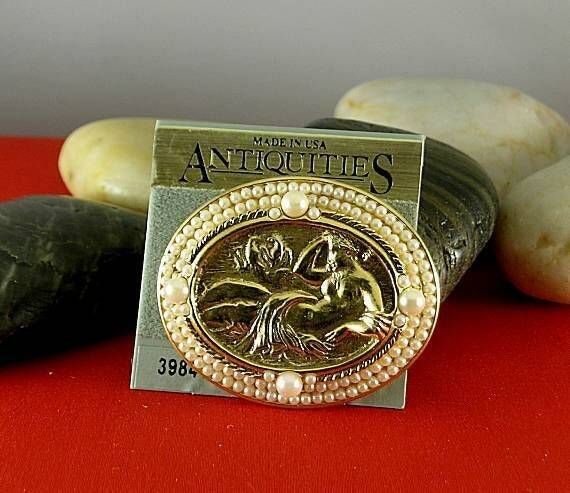 A Greek Goddess Brooch from discontinued Mythology stock of the Antiquities Couture Collection by 1928. 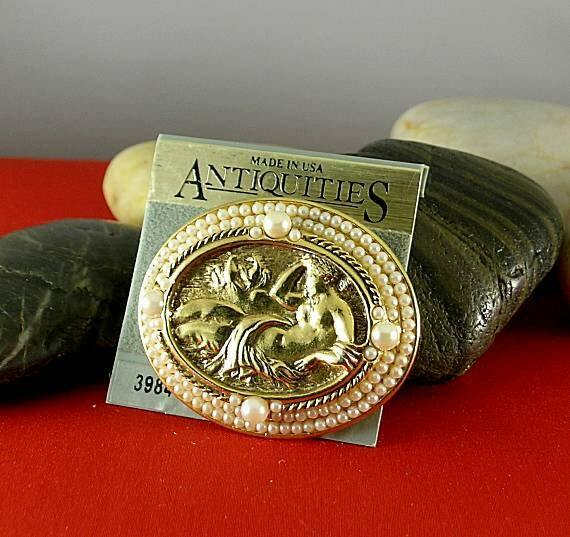 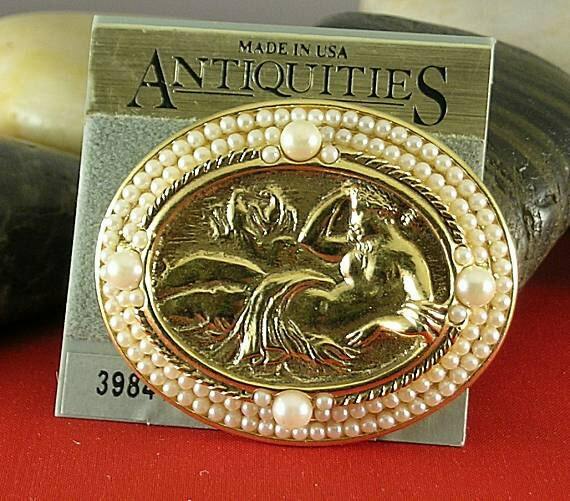 A brooch that reflects the passion for god and goddesses during the Renaissance's rebirth of classical art, literature and learning, this piece has the image of Aphrodite, the Greek goddess of love and beauty (or maybe it is Venus, her Roman equivalent), reclining in the center with three rows of pearls of various sizes encircling the goddess. 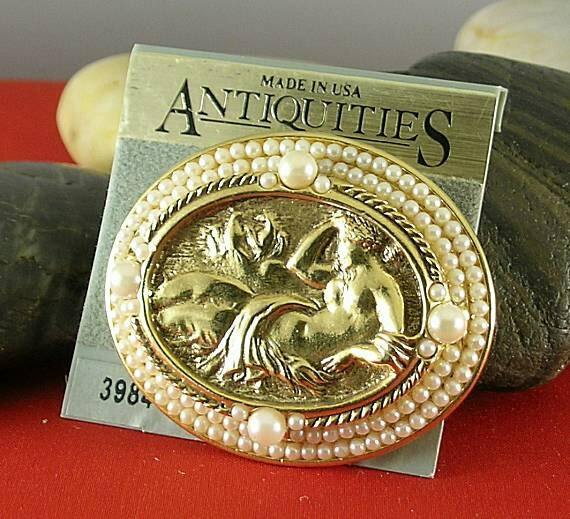 It is made of museum quality 24k electroplated gold and measures approximately 2" X 1 3/4".